It’s become a bit of a regular thing, that when we visit M’s Parents, I take things I’ve baked. 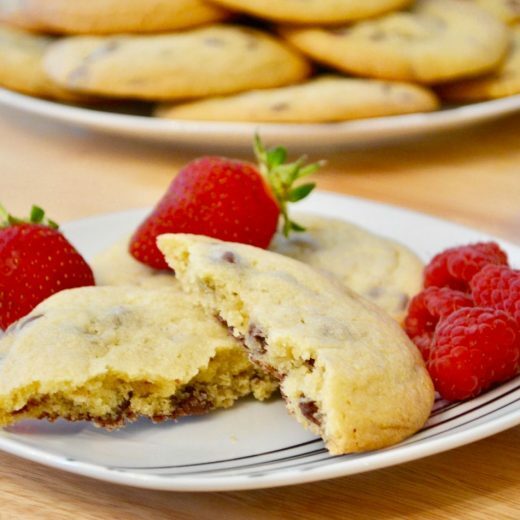 I’m pretty sure this has come from the first time I met them – I so wanted to make a good impression so I made a batch of my Chocolate Chip Cookies and since then, I rarely turn up at their door without a plate of brownies, flapjacks, fudge or something else that I’ve whipped up. 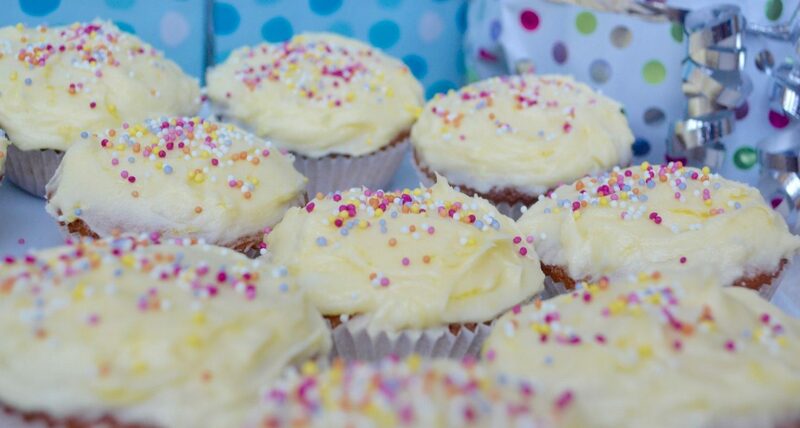 Anyway, we were up visiting a couple of weeks ago and I had a day off before we headed up so I decided to whip up a batch of cupcakes to take up with us. M absolutely loves anything lemon flavoured and so as I hadn’t made lemon cake in a while I decided to whip up these lemon cupcakes as a bit of a recipe experiment (I used my normal sponge recipe and then added lemon juice and lemon zest until I felt that the flavours were right…) and it worked really well so I thought I’d share it on here! 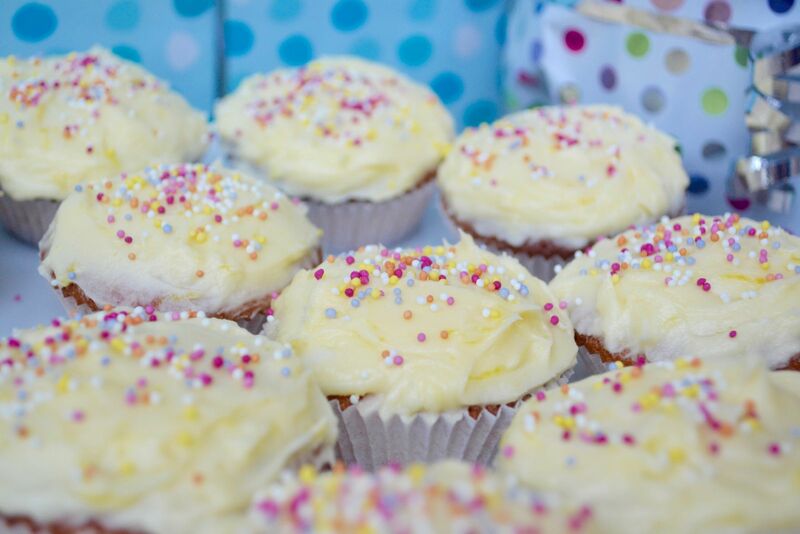 As the cake and the icing are both lemon-y this might be a bit too much lemon for some people – it might be worth trying them with a normal buttercream icing if you think it might be too much – that said, M and his parents didn’t think it was too much lemon at all…! 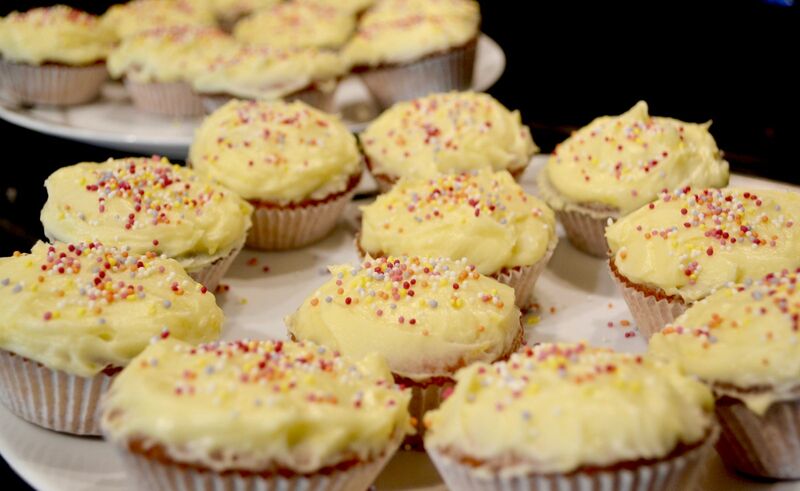 Sprinkles/Hundreds-and-Thousands/Candied Lemon Zest – your choice of decoration! Line the cupcake trays with the cupcake cases. Add the Eggs and mix well. If there is signs of curdling, add a little of the flour and continue to mix. 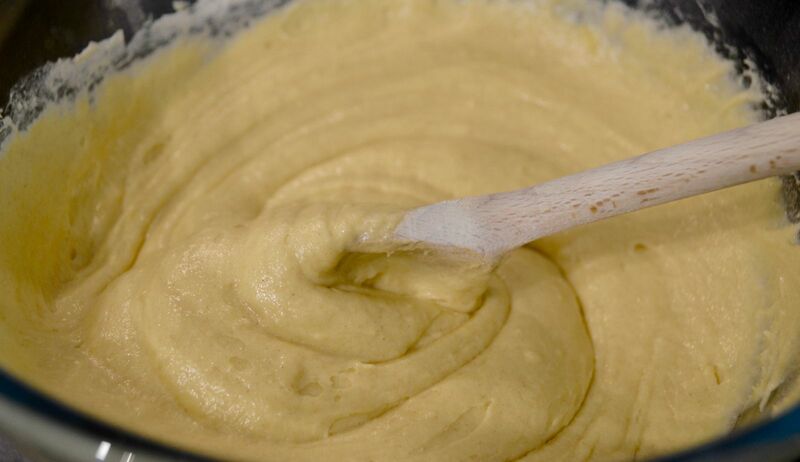 Sift in the Self-Raising Flour and mix thoroughly until all combined. 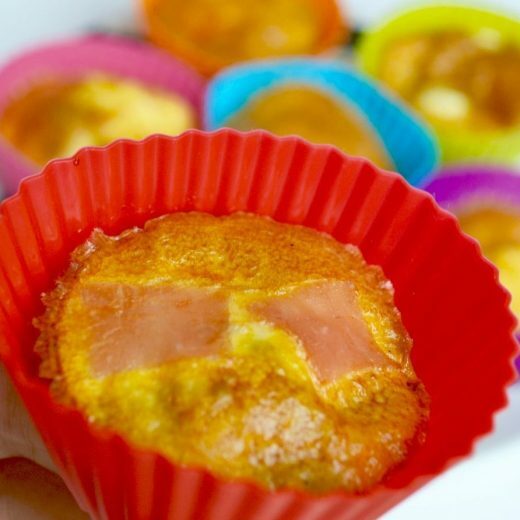 Spoon the mix into the cupcake cases. I tend to put quite a bit into each case – at least 1.5tbsp in each – but you could put slightly less and spread the mix to make a few extra cupcakes…I like mine to rise and fill the whole cupcake case. Bake in the oven for 15-20 mins or until golden brown. 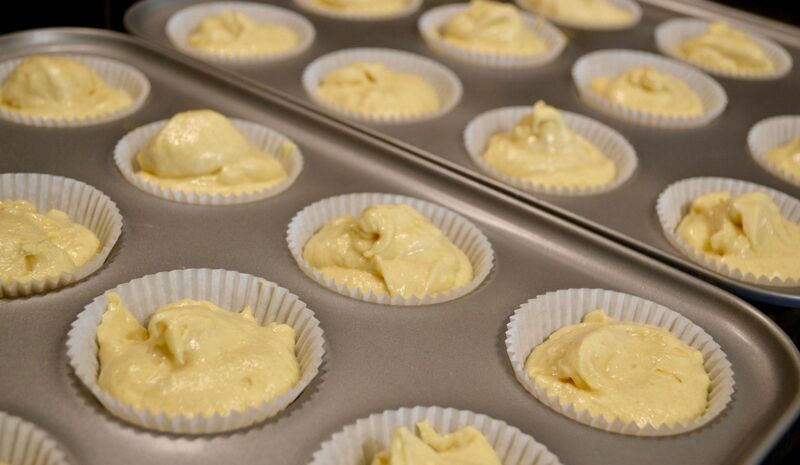 While the cupcakes are in the oven, make the icing by putting the butter in a large mixing bowl and gradually adding the icing sugar until it is all mixed through. Add the lemon juice and lemon zest and mix until completely combined. 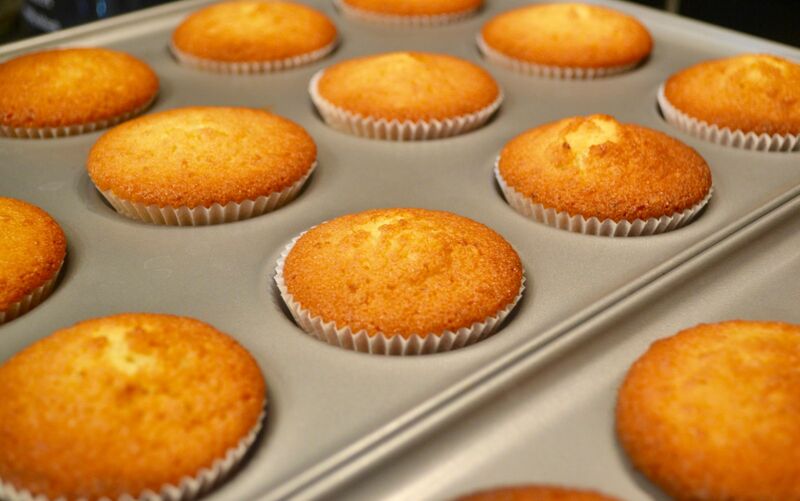 Allow the cupcakes to cool completely before icing. 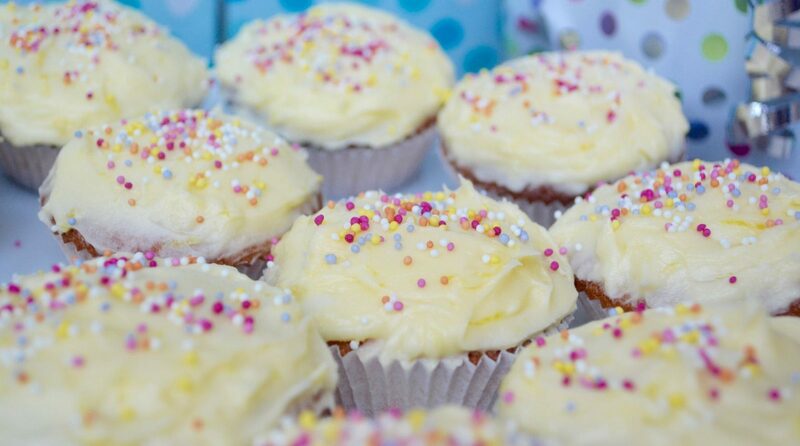 Either spread the icing with a knife and spoon or ice using an icing bag. Top with sprinkles, hundreds-and-thousands or even some candied lemon zest. 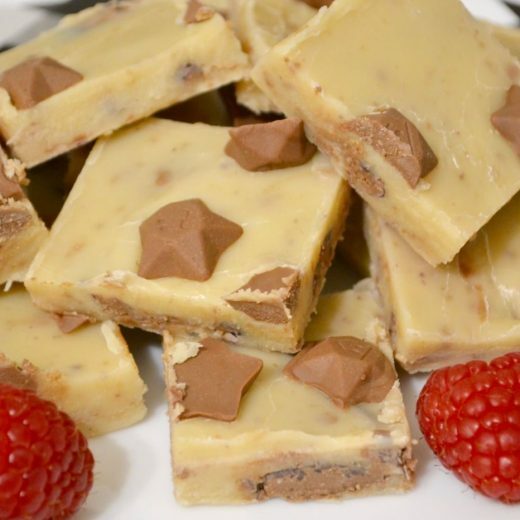 Recipe: Indulgent Chunky Vanilla Fudge!